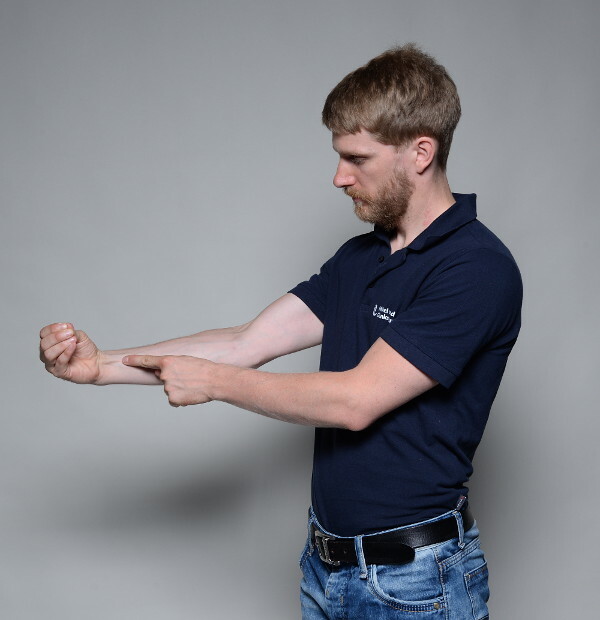 The palmaris longus is a muscle of your forearm that spans from your elbow into your inner hand. If it is too tight or harbors trigger points, it can induce pain in the hand that feels like stitches. Surely this is an aggravating condition, but there are good news. With some simple self-massage you can relieve yourself from that pain in short time. All you have to do, is to learn to feel and then to massage the muscle. On this page, you will receive all the information to do so. Just get started. If you are only interested in practical applications and in getting rid of your pain, jump straight to the feel and massage part. Otherwise, take yourself a minute and read this whole page. It will give you a deeper understanding on this muscle and why it might trouble you. If trigger points in this muscle are present, they can cause pain in the inner hand and forearm. Contrary to the deep tissue pain that is usually caused by trigger points, pain from this muscle has a prickling sensation. The deeper the red in the picture, the more common it is to feel pain in the respective area if trigger points in this muscle are present. If you have trigger points in this muscle, you might not only feel pain in your hand, but also soreness whenever you want to use it. This means all the muscles’ functions, cupping the hand and bending it at the wrist, might be impaired and painful, respectively. In order to free yourself from this pain and trigger points, learn to feel and then to massage the muscle. Self-massage is really the best way to get rid of too much muscle tension and trigger points. 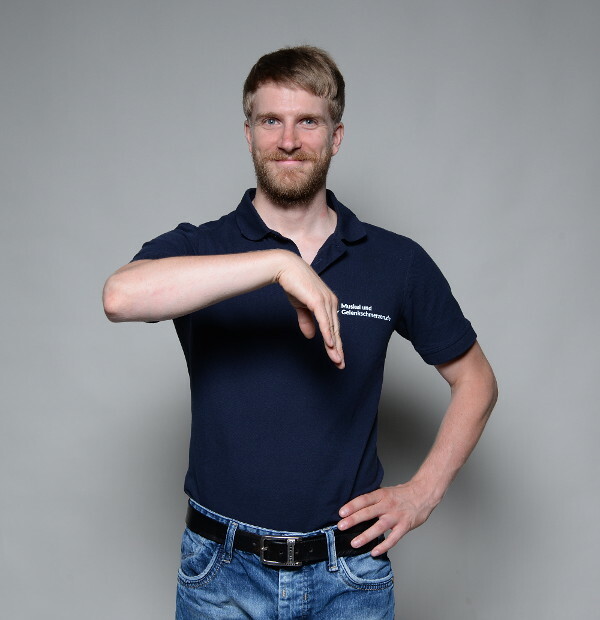 The palmaris longus muscle runs from your medial epicondyle – inner side your elbow – to the inner side of your hand, where it forms the palmar aponeurosis/fascia – not shown in the picture below –. The X displays the area that is common for trigger points to develop. The function of this muscle is to cup your hand and to assist flexion/bending of your wrist. Tightening of the palmar aponeurosis and cupping of the hand. Trigger points in the palmaris longus develop, like in all other muscles, if you mechanically overload it. This overload can be repetitive use of the muscle itself or external forces acting on it. I will give you some examples for overload to make this clearer. falling on the bend wrist. Here the muscle gets abruptly stretched. using a cane that pressurizes the hand punctually. 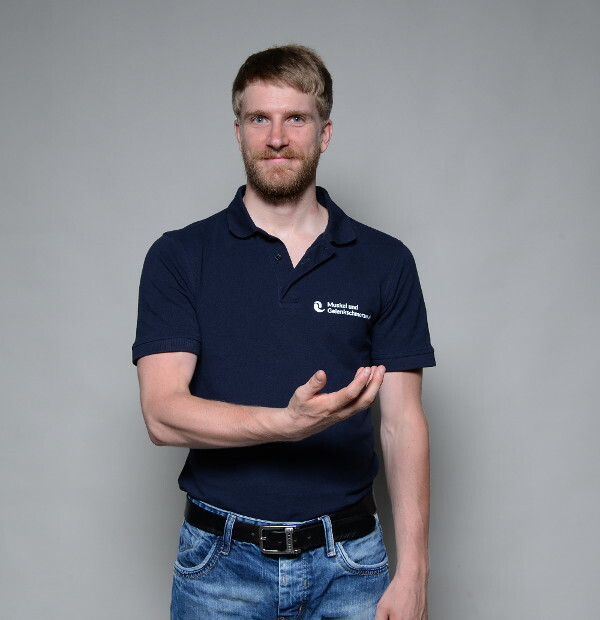 The easiest way to feel and distinguish the palmaris longus from the rest of your forearm muscles is by feeling it during contraction. To do so, press your thumb against your other 4 fingers and slightly bend your wrist. By doing so, you will recognize a very prominent tendon “popping” out of your wrist. That's the tendon of your palmaris longus. Put a finger of your opposite hand on that tendon. Now repeatedly press your fingers and thumb together and feel it moving. 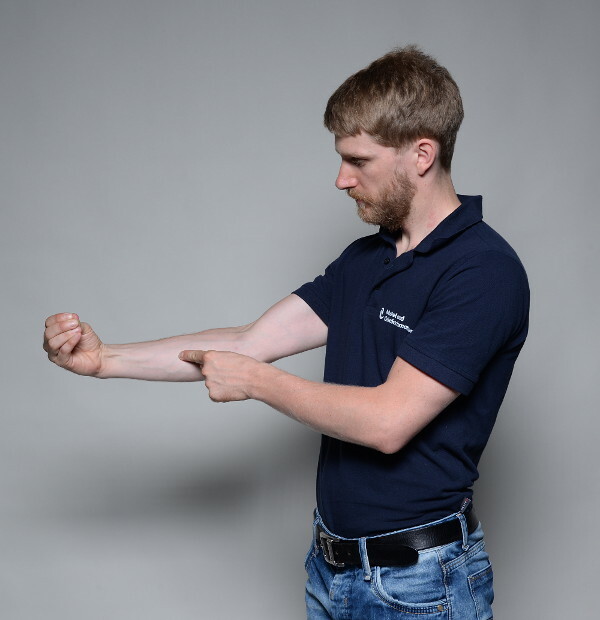 Slowly move down your forearm and try to make out where it converts/changes into the muscle – about halfway down your forearm –. For your massage I recommend using a massage ball. You will search for a tender spot and then focus your massage only on that area. 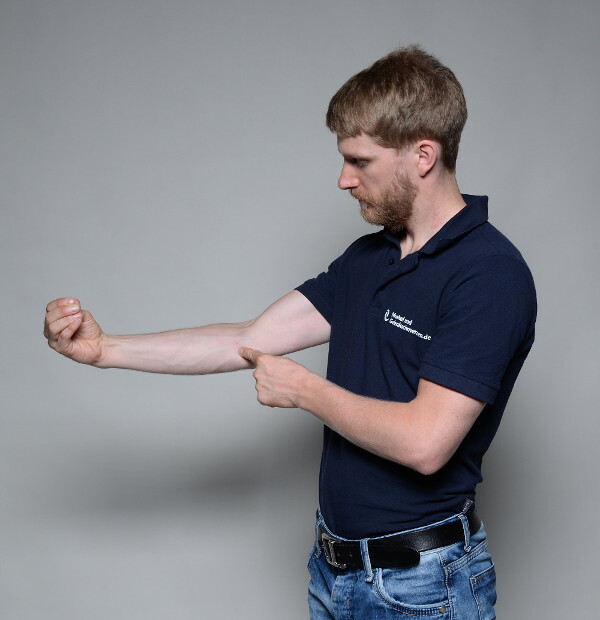 You are likely to find tender spots on the upper part of the muscle and its attachment point at your elbow. As soon as you find one, massage over it for 10 – 15 times with slow and precise strokes. That’s it. Afterwards you move on to the next muscle/tender spot on your list or rest and repeat the massage in a couple of hours. Place the ball on the muscle, lean against a wall and then roll over the tender spots. Experiment a little bit with your body positioning in order to find the most convenient way for your massage. Keep in mind to massage yourself on a frequent basis. Doing it 1 time per week won’t do the job. Persist until your pain is gone.